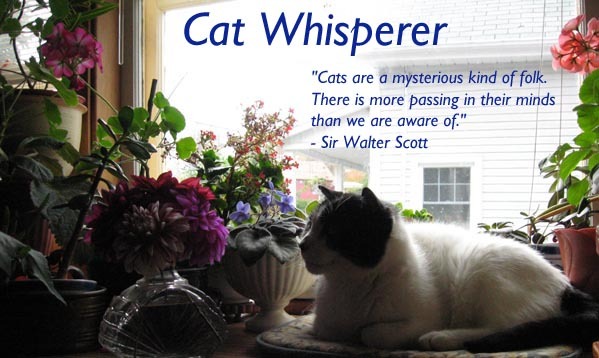 Cat Whisperer: Lilac-Time: Warble Me Now! - Walt Whitman's "Warble for Lilac-Time"
On my way to work, I came across a small bouquet of lilac at the bottom of a neighbor's lilac bush. Someone picked them, then carelessly tossed them aside. What a shame, to make it through winter and frost, just to be picked and thrown away. 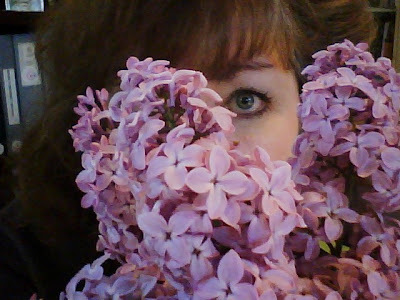 I pulled a plastic bag out of my briefcase and took them to work, gave them a drink and now they are sitting on my desk - the sweet scent of lilac filling my office. We love lilacs! It's one of our favorite flowers!